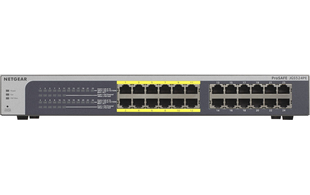 The affordably priced ProSAFE JGS524PE rackmount switch has 24 Gigabit Ethernet ports which can be used for any 10/100/1000 Mbps connection, 12 of these ports can supply industry-standard IEEE 802.3af power. 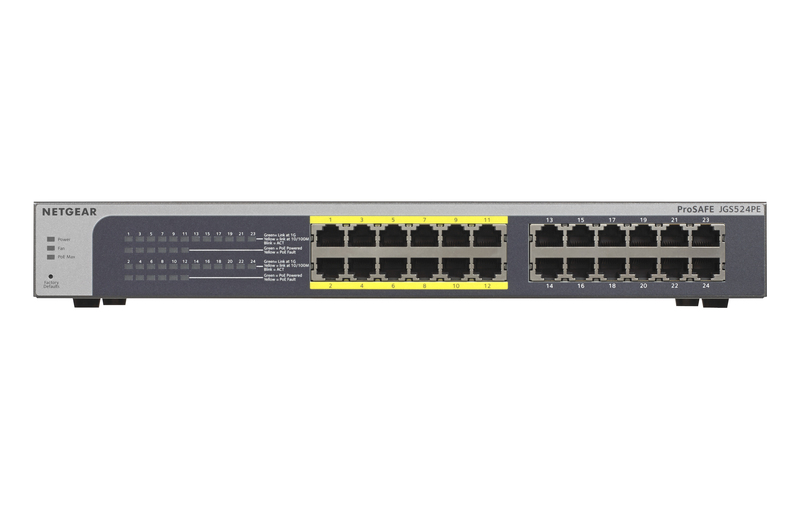 As well as providing power and data this Unmanaged Gigabit Plus switch offers fundamental network features such as VLANs, QoS, and IGMP Snooping, Link Aggregation (LAG), rate limiting and traffic monitoring on top of plug-and-play connectivity. 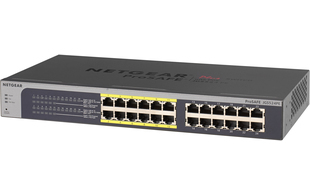 This switch is ideal for growing small business networks that want to simplify the installation of their IP-based PoE devices. This can bring big cost savings when used for devices that are installed away from electrical outlets for example IP door entry and IP cameras, as the PoE eliminates the requirement for a dedicated electrical outlet. 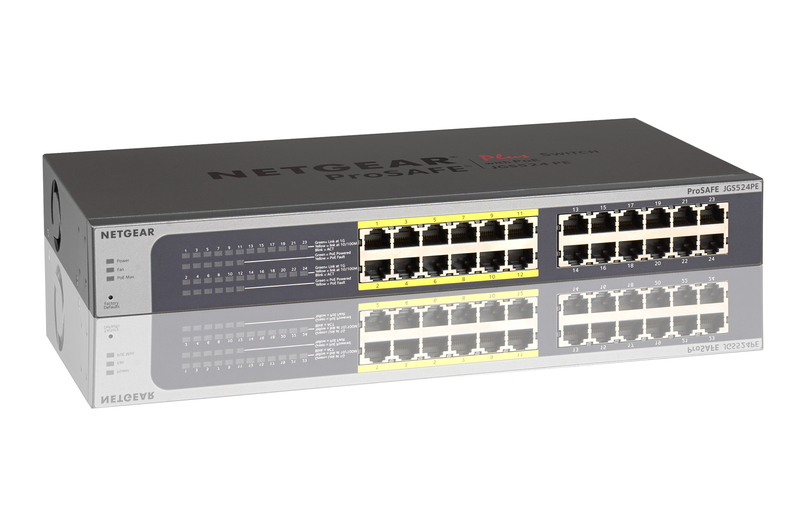 The ProSAFE JGS524PE switch will automatically detect 802.3af-compliant devices and will only provide power to these devices, in addition power will stop when the PoE devices are disconnected. 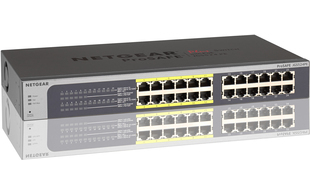 The switch senses and adjusts network speed and cabling type automatically, for easy integration into your existing 10/100/1000 Ethernet network. This product comes with a lifetime manufacturer's warranty. Warranty will be handled by manufacturer after 2 years of purchase.